This property is 2 minutes walk from the beach. 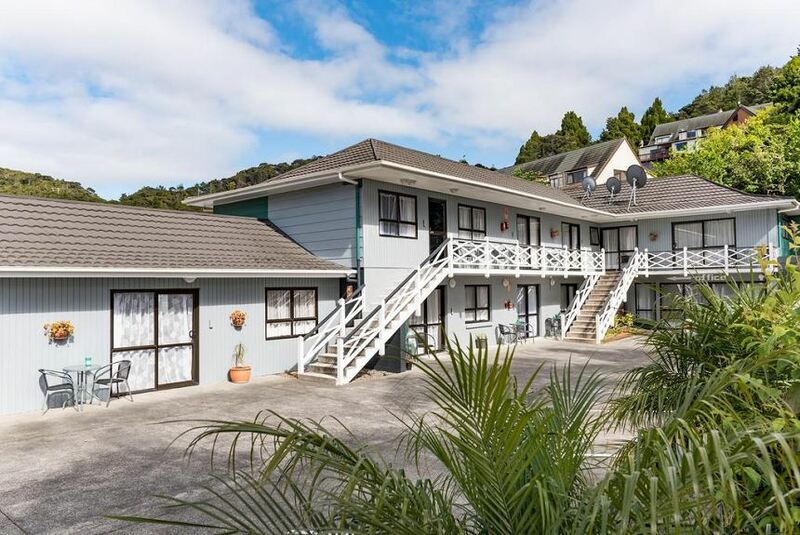 Dolphin Motel is centrally located just 100 m from Paihia wharf. All rooms feature a stovetop, fridge and satellite TV. Guests enjoy up to 2GB of free WiFi. Dolphin Motel provides apartment-style accommodations of studios, 1 and 2-bedroom units and family units. Some include a fully equipped kitchen and ceiling fans. All are nonsmoking. Laundry facilities and free car parking are available for guests. The tour desk can book local activities, such as dolphin-watching cruises and arrange itineraries and reservations throughout the country. Dolphin Motel is located 100 m from the beach and the shops and cafes of Paihia town center. Paihia Ex-Servicemen's Club is a 1-minute walk from the motel.